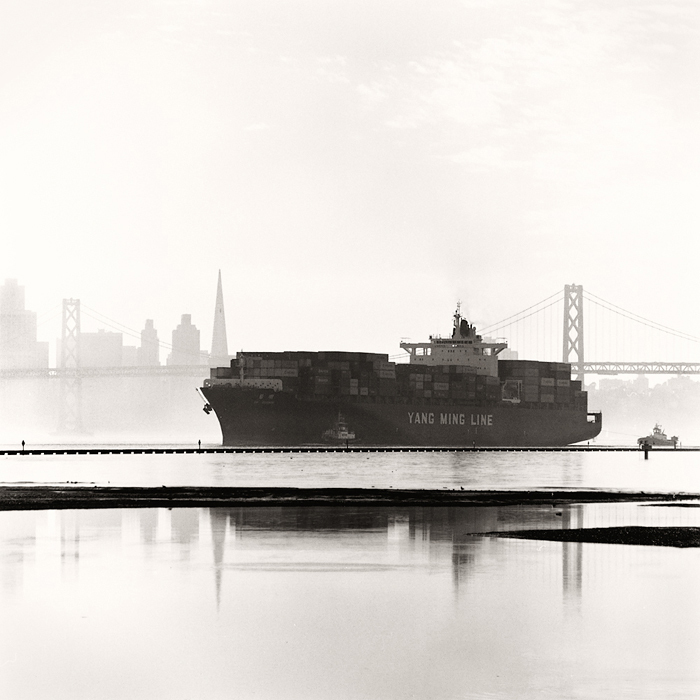 I’m pleased to announce that two of my platinum-palladium prints have been juried into an upcoming exhibit, From the Golden Gate Bridge to Oakland: Trade and Tourism, to be held at the Oakland International Airport, May 25–September 7, 2012, as part of the 75th anniversary celebrations for the opening of the Golden Gate Bridge. Juried by Emily Anderson (Exhibitions Director and Curator, Richmond Art Center), Carrie Lederer (Curator of Exhibitions and Programs, Bedford Gallery) and Suzanne Tan (Executive Director, Berkeley Art Center), the exhibition is sponsored by the Oakland Museum and the Port of Oakland. Here’s one of the images that’ll be on display (above).